Stylish rose gold tone finish adds a sophisticated touch to your makeup table. Rose gold tone finish. Gluten free. 10 Piece Brushes & Bag Set. ~AURORA LIG HTS ~. Detailing Pencil Brush. Brush Set Includes Blending Crease Brush. Blending Brush. Brushes fit inside of bag. Very colorful. 100% authentic and the receipt is available. Amp up your glam this festival season with this Weekend Festival 10-Piece Brush Set. ~Pointed Crease Brush. Brush Set Included~. ~Powder Brush. ~Blush Brush. Enchant your beauty routine with this Crystal Quartz 12-Piece Brush Set, a collection of top-quality synthetic face and eye brushes that can be used with liquids, creams and powders to create a rainbow of magical effects. New and unused, authentic bh cosmetics. Lot of 3 eyeshadow glitters w cute zipper carrying bag. It does not have the original plastic box. 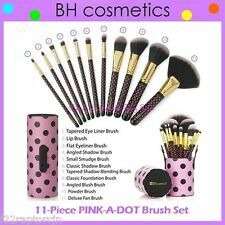 NEW BH Cosmetics PRETTY IN PINK 10-Piece Brush Set w/Zipper Bag Authentic. Condition is New. Shipped with USPS First Class Package. • All items ship next business day • USPS 2-3 business days • Returns accepted within 30 days • All cosmetics must be unopened and unused and new clothing must have tags in order to accept return. • Please contact me for any damaged items or questions. • Thank you for looking. 15-Piece Makeup Brush Set. Condition is New. Shipped with USPS First Class Package. 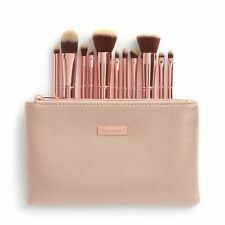 BH Signature Rose Gold 13 Piece Brush Set, 13 Piece Brush Set is the ultimate - a full wardrobe of face and eye brushes that handles all your application needs beautifully and efficiently. Beautiful and lush brush set. 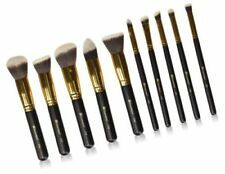 The brushes are perfectly shaped to accent every contour and curve of your face. Soft bristles, with just enough firmness, to create the perfect finish. large crease blending brush. 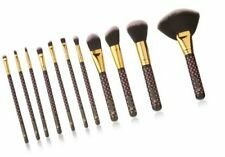 BH Cosmetics Metal ROSE GOLD 11 Piece Brush Set w/Bag NEW! (0061). Condition is New. Shipped with Economy Shipping. 2 x Eyeshadow Brush. 1 x Eyeshadow Stick. With superior-quality, the makeup brushes will not irritate your skin. 1 x Eyelash Comb (Flat). New and high quality makeup brush set. Easy to use and convenient to carry. 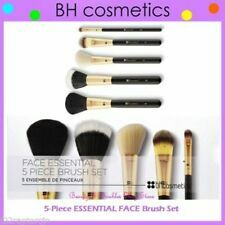 Bhcosmeticts Brushes 10 Pcs Set. Condition is New. Shipped with USPS Priority Mail. Vegan Brush. This professional-quality set as two-tone synthetic bristles work perfectly with liquids, creams, and powders for a finish thatas truly perfect. Actual Picture what you see is what you get. 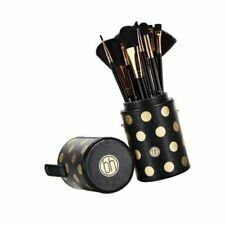 ❤️⭐NEW BH Cosmetics 😍🔥👍 STUDDED COUTURE Brush Set 🎨💋12-Piece w/Cup Holder💎. Condition is New. Shipped with USPS First Class Package. 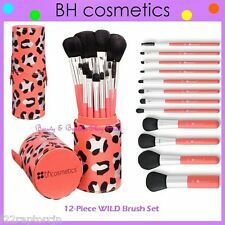 BH Cosmetics Pretty In Pink 10 Piece Brush Set WITH Cosmetic Bag (0061). Condition is New. This may or may not come with the box. I have some with the box and some without, but they are the same. Shipped with Economy Shipping. Powder Brush. Small Angled Contour/Blush Brush. Foundation Brush. Large Blending Brush. Large Flat Shader Brush. Small Flat Shader Brush. You'll be the belle of the ball in the blink of an eye. Go from thin and defined to bold and dramatic in just one stroke! Shade: BLACK. Easy to Clean. Large Crease Blending Brush. Tapered Crease Blending Brush. Detailing Crease Blending Brush. Tapered Powder Brush. Large Chiseled Contour Brush. Large Flat Top Brush. Angled Blush Brush. Apply makeup expertly with this Sculpt and Blend Fan Faves 10-Piece Brush Set, the ultimate collection of face and eye brushes for shading, contouring and highlighting. 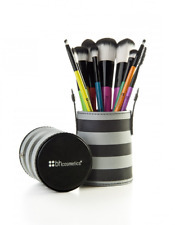 This set features the best-of-the-best brushes from BHs 3 popular Sculpt and Blend sets.